Dr. Roth will examine you and will describe not only what he sees, but also how it relates to your appearance or other issues. He will then explain what might be done to improve each area medically or surgically. You may not wish to take advantage of every treatment that is available, but at least you can know about available options and what each might offer. Patients undergo a general physical examination prior to their surgery. This is to ensure that no underlying medical problems exist that may interfere with the safety of their surgery. The Anesthesiologist may have specific criteria to be met. Appropriate consultation, (Cardiology, Pulmonary, etc.) may be requested to address any issues. Any issues, however trivial they may seem, should be reported. For example, a seemingly innocent minor infection can result in a surgical wound infection, and so must be treated prior to surgery. Likewise, hypertension must be under control. Blood pressure medicines are typically taken right up to the time of your procedure. Cigarette smoking has a significant impact on wound healing and needs to be discontinued prior to the operation. Some procedures will not be done in those who smoke. Serious wound healing complications can occur in patients who are exposed to smoke, even passively. The risk of wound healing problems decreases after one quits. Appropriate timing of surgery after cessation of tobacco exposure can be discussed. There are different ways to perform the liposuction, (liposculpture). These are determined by the individual's anatomy, tissues, and goals. Remember that any surgical procedure requires a certain period of recovery from the surgery and anesthetic. Individuals vary, but it is possible to experience soreness, swelling, and bruising. You will need to have someone drive you home from the surgery center. You should also have someone stay with you the first couple of days after you go home. You will also need someone to drive you to your visits to the Doctor. Remember, no driving for 10 days after the procedure. Any discomfort following liposuction, is usually controlled well with the prescribed pain medication. The post operative garment will serve in most cases, as the "dressing". The extra pressure this garment provides helps reduce swelling and discomfort. You may shower after removal of the garment 3 days after the procedure. The garment must be worn for 6 weeks. Ice packs can decrease swelling and soreness. Although you will be up and around in a day or two, you should plan to take it a little slower the first week. You will be walking on the first day after the procedure. We will examine you 3-4 days after the procedure, and the stitches will be removed about a week after surgery. If your work is secondary, you may return as you feel fit. If work is more strenuous, you should wait 7-10 days. Do not do anything that requires straining or heavy exercise for at least two weeks. Likewise, you should avoid vigorous activity for two weeks after surgery, this will reduce the incidence of swelling or bleeding. Sun exposure is discouraged for at least the first few months. What is Liposuction / Liposculpture? 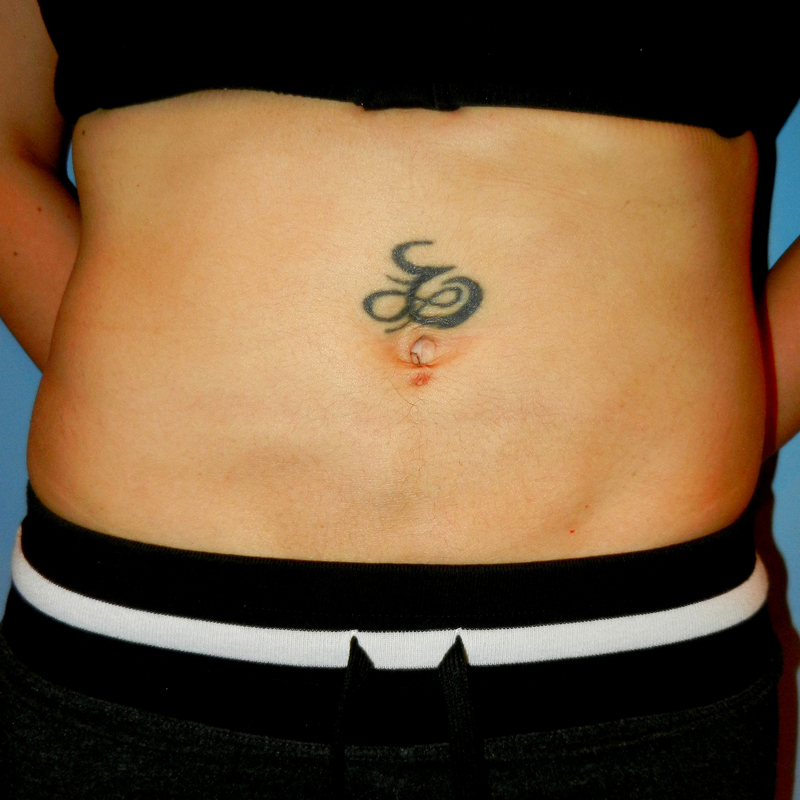 It is a surgical procedure used to remove fat, re-contour areas of the body, and achieve better proportion. It can also remove fatty/fibrous tissue secondary to disease, and extract fat to be placed elsewhere in the body. How much can be done at one time? This depends on your individual anatomy, tissues, and goals. There are certain limits on how much liposuction you can have at one time. Areas of priority and feasibility are discussed at the time of consultation. Yes, this occurs frequently, and can be discussed at the consultation.